Depression in women is very common. 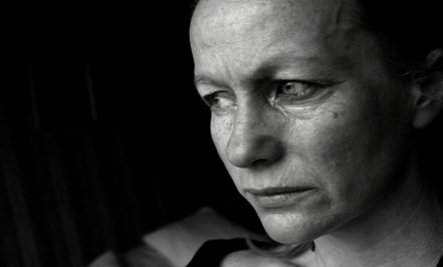 About 1 in 5 women develop depression at one point or the other in life. In fact, women are twice as likely to develop clinical depression as men. Up to one in four women is likely to have an episode of major depression at some point in life. Depression is a serious and pervasive mood disorder. It causes feelings of sadness, hopelessness, helplessness, and worthlessness. Depression can be mild to moderate with symptoms of apathy, little appetite, difficulty sleeping, low self-esteem, and low-grade fatigue. Or it can be more severe. Why is depression in women more common than depression in men? Before adolescence, the rate of depression is about the same in girls and boys. However, with the onset of puberty, a girl’s risk of developing depression increases dramatically to twice that of boys. Some experts believe that the increased chance of depression in women may be related to changes in hormone levels that occur throughout a woman’s life. These changes are evident during puberty, pregnancy, and menopause, as well as after giving birth or experiencing a miscarriage. In addition, the hormone fluctuations that occur with each month’s menstrual cycle probably contribute to premenstrual syndrome, or PMS, and premenstrual dysphoric disorder, or PMDD — a severe syndrome marked especially by depression, anxiety, and mood swings that occurs the week before menstruation and interferes with normal functioning of daily life. What increases the chances of depression in women? Women can also get postpartum depression after the birth of a baby. Postpartum depression (PPD) can begin any time during the first two months after you give birth. Some women with PPD believe I they can’t adequately care for their baby or may harm their baby. *Be good to yourself. Make sure your own basic needs are met: Try to sleep and eat well, and try not to feel guilty about the way you feel now. Just because you have PPD doesn’t mean you are a bad mother or don’t love your child. Once you feel better, these feelings will diminish. *Don’t expect so much of yourself. If you have clinical depression, it is enough just to get out of bed and face the day. Focus on taking good care of yourself. If you can do this each day, you’ll be doing well. *Ask for support. Part of being a good mother is knowing when to ask for help – so don’t be afraid to ask for it during this difficult time. Help comes in many forms, ranging from friends who cook meals and fold your laundry to therapy. You need support from others so you can get better. *Share your feelings. Tell someone you trust about how you feel. Call a sympathetic friend. Join a mothers’ group for support, or chat with moms about postpartum depression. You may be surprised at how many women are experiencing similar feelings. If you have a supportive partner, make sure he knows what’s going on and how he can help. *Don’t neglect your “outside.” Taking care of your physical self can sometimes help you feel better inside. Have your partner or a friend watch your baby so you can take a relaxing shower. Put on makeup if you usually wear it. Go on a shopping trip just for yourself and buy something new for your post-birth wardrobe. Wear a favorite outfit on especially difficult days to give yourself a boost. *Venture outdoors. Put your baby in a stroller and take a walk around the block, or meet a friend at a nearby café. The fresh air, sunshine, and conversation will do you and your baby a world of good. If even a brief excursion is too much for you right now, then just go outside, close your eyes, take a deep breath, and sit in the sunshine for a few minutes. It will help.